An ongoing story involving Katy Perry and a pair of nuns recently heated up again when one of the nuns passed away in court and the other claimed bankruptcy. I think what’s important to understand is Perry is completely in the right. Yet, there are clearly many who think she should give up her claim because the elderly nuns are a sympathetic pair. Bah humbug, says this scrooge. I think the first step we should take is to examine the case itself. Five nuns lived at a property called Los Feliz for many years although moved away a few years back. The property is owned by the Los Angeles Archdiocese although two of the five nuns claim they were the actual owners because of their long years living there. The three other nuns are not part of the legal situation and support the Archdiocese’s right to sell. 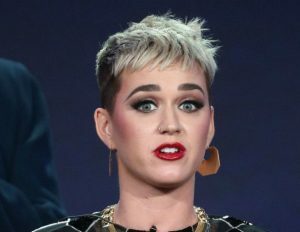 Katy Perry expressed an interest in the property and was in negotiations to purchase it when the two nuns got wind of the sale. They watched a few of Perry’s videos and decided they didn’t approve of her. So, they contracted with a third party and quickly sold it for well under it’s value with a miniscule down payment. The judge ruled that they had no right to sell the property and the third party was engaged in tampering and ordered Dana Hollister to pay Perry and the Archdiocese no small fee. “Clearly invalid,” was the term the judge used in regards to the sale. It seems clear Perry is right from a legal aspect but I’m willing to go significantly further. I think she’s right from an ethical perspective. The nuns are behaving horribly and using their position to vilify Perry and break the law. They are acting in an incredibly entitled fashion. We don’t like Perry. They claim they are somehow breaking their vows by allowing the property, that they haven’t lived at for years, to be sold to someone so evil as Perry. Their behavior is despicable and filled with selfish and righteous horse manure. The two, now one, are a playing on the sympathies of those who look at them and see a pair of elderly nuns being taken advantage of by a ruthless mogul when the opposite is closer to the truth. The nuns are acting ruthlessly and viciously exploiting their position to turn public opinion against Perry. The surviving nun is now claiming she is bankrupt despite the fact the Archdiocese continues to pay all her living expenses and has expressed it will continue to do so until her death. She is saying terrible things about Perry. I will not stand by. I’m calling her out! Try to be a decent human being in your last years of life you angry and bitter old woman. Yep, I’m yelling at a nun and I’m doing it because she is legally and ethically in the wrong. Don’t give up the fight, Katy. And, if you ever happen to visit St. Louis, dinner and a drink? My treat. This entry was posted in Entertainment, Law and tagged entertainment, law. Bookmark the permalink. ← United Airlines and Would You Trade a Quarterly Bonus for a Chance at a Big Prize?